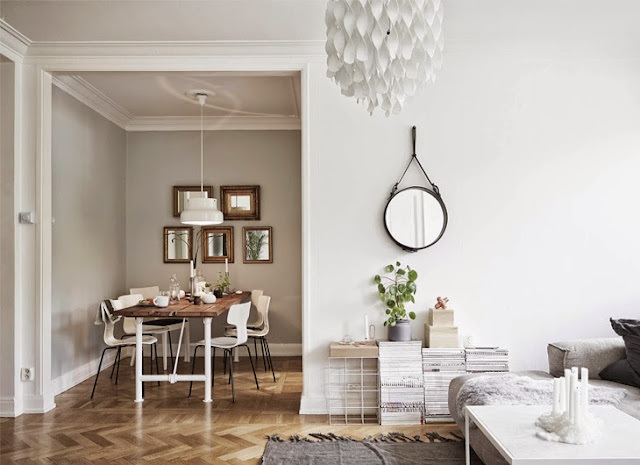 For a 56 m2 apartment, it's just looks so good. 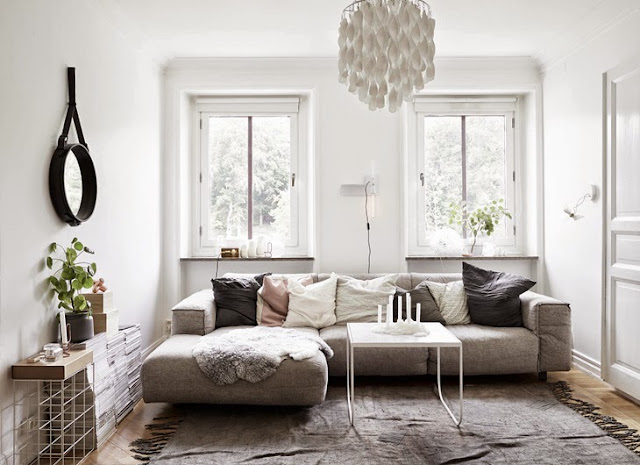 The Scandinavian people really know how to put so much goodness in a small space. I'm really loving the big couch. Here you see an example of a big couch that really works in a smaller space. Once again, a great combination of the colors. White, brown, brown-grey and the checker-box tiles in the kitchen makes it all unique. The dinning table is also a great hand-made piece. How about the wall to wall bed in the bedroom? This is a great idea if you have a small room and you just need to sleep in it. Just the bed and some extra's, like some plants and books to make the room cozy. 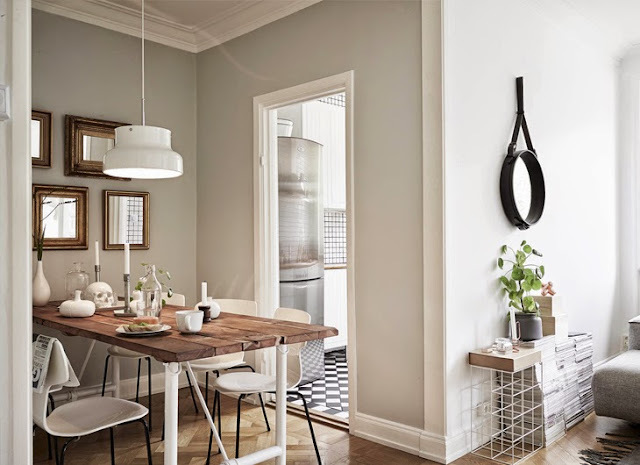 Lets indulge in this great interior of this fantastic apartment.